They know, we know, everyone knows. Well, it’s not like none of us saw it coming. The cracks in the Fang Hui-Chen Xun relationship started showing the moment they stepped foot in the college. From a mile away, we knew that they were not destined for a happily ever after. Now that the damage has started…is this really going to be the permanent end of the Fab Five that we knew and love? After Xiao Tang asks Chen Xun if he’s interested in going out with her, he awkwardly tells her that he already has a girlfriend. Couple seconds of painfully awkward silence goes by before Xiao Tang bursts out laughing and tells him that she was just kidding around. Chen Xun breathes a sigh of relief…but c’mon, does anyone actually buy that? Apparently Chen Xun doesn’t because he lies awake all night. Finally, he texts Fang Hui to meet him outside her dorm. Fang Hui goes downstairs to find Chen Xun playing a Leslie Cheung song on his portable radio. Then he totally pulls that move from Love Actually with the notecards. On them, he tells the story about how he’s been working a part-time job to earn enough money to take her to Hong Kong for Leslie’s concert at the HK Coliseum. Fang Hui is totally melting, of course. 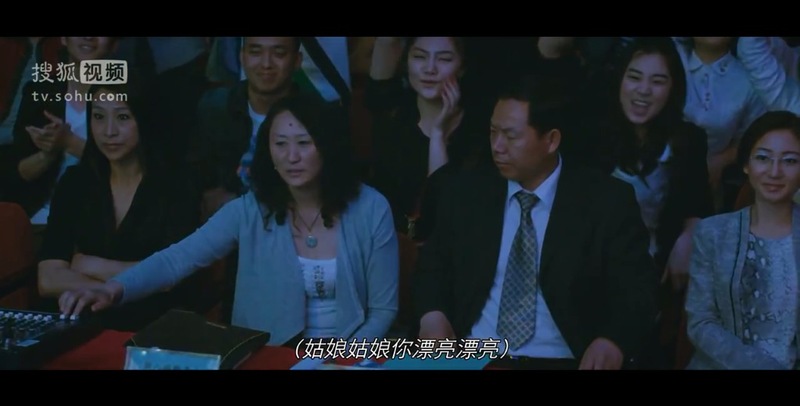 I guess Chen Xun’s heart is still with her…for now. 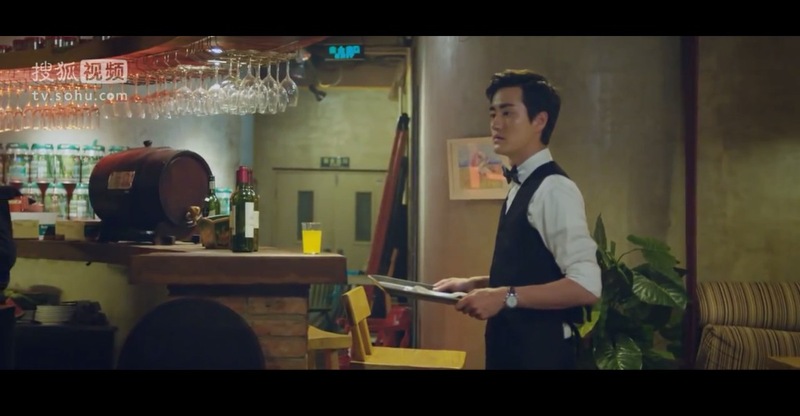 Fang Hui visits Chen Xun at the pub that he’s working at. Xiao Tang also happens to be there and is calling out to Chen Xun that they should leave together, but then sees Fang Hui. Chen Xun quickly introduces Fang Hui as his girlfriend, and Xiao Tang, per her usual bubbly self, shakes her hand. You know that Fang Hui wasn’t too fond of meeting Xiao Tang though because on the walk home, she gives Chen Xun her infamous silent treatment. 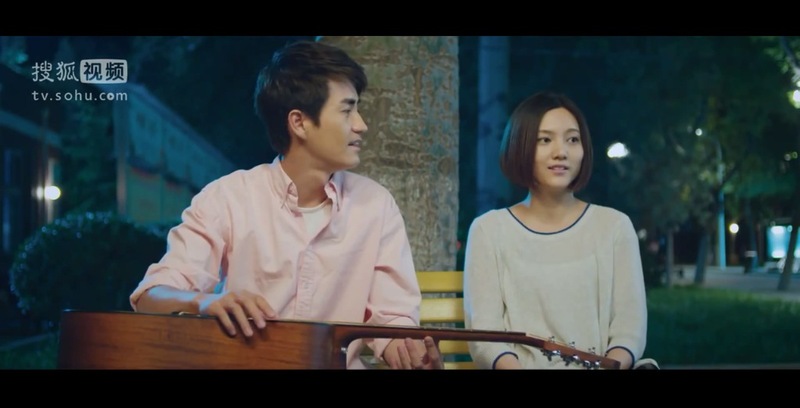 When Chen Xun is signing up for a singing competition that Xiao Tang’s music club is organizing, she also gives him the cold shoulder and acts like she doesn’t wanna be around him. Later at the pub, she rejects the drink that he gives her, but then immediately accepts one from another waiter. Chen Xun’s drama doesn’t just end there though because Fang Hui lectures him for skipping class again, and then tells him to quit his job. Her excuse is that she’s worried about the type of people he encounters at the pub. Chen Xun can see right through that BS reasoning, and tells her to just tell him straightforwardly what she’s thinking. Fang Hui responds that she doesn’t have anything to tell him. Chen Xun only gets more mad hearing that, and says that he’s really annoyed of her always acting like this. I’m totally with him here. Then Fang Hui gets upset and tells him to go find someone else who doesn’t annoy him. Oh snap, there it is. During the first round of the singing competition, Chen Xun’s going all out on a rock & roll song. The judges aren’t too into it though because they purposely turn off his mic mid-song. But Xiao Tang to the rescue when she rushes onstage to give him another mic. While he continues to scream out the song, she’s helping him hype up the crowd. Teamwork! After that rockin’ performance, Chen Xun is sitting outside by himself, playing the song that he wrote for Fang Hui, “Cong Cong Na Nian.” Xiao Tang comes up to him to tell him to sing this song for the next round in the competition. Small talk aside, he asks her what was wrong with her these past couple of days. Xiao Tang laughs it off and claims that she was just having some major mood swings. Okay, sure. Chen Xun is relieved because he thought that she was mad at him. Before she leaves, she gives him a teddy bear that she said she found on the ground. Uh…ew? Back in his dorm, Chen Xun notices that the teddy bear is the type that you can record a message with. When he presses the button to play the recording, there’s a message from Xiao Tang reminding him to be worry-free if he wants to go to the sun and wishing him good luck in the competition. So, she didn’t find it on the ground then? He’s SO happy hearing her message and replays it again. Jia Mo goes to find Chen Xun and Fang Hui because she found out that Zhao Ye has been released from prison, but he’s made no attempts to contact them and his family moved away too. They go around to all their usual spots to ask around, but no one has seen Zhao Ye. Let’s not forget that Fang Hui and Chen Xun are still fighting, so the atmosphere is even crappier because those two aren’t speaking to each other. On the walk home, Jia Mo purposely leaves first so that the two of them can talk. Chen Xun tells Fang Hui that he’s going to quit his job. He explains that the only reason he got that job in the first place was to make her happy, but since she’s not happy, there’s no point in him working there anymore. He even admits to her that he purposely didn’t complete his college entrance exam because he wanted to ensure that they can go to the same college. Chen Xun tells Fang Hui that he just wants to be with her, and is willing to do anything to achieve that. Therefore she has no reason to be suspicious of him, and he asks for them to stop fighting. When Xiao Tang asks Chen Xun why he’s quitting, he tells her that he wants to spend more time on school. Not sure why, but Xiao Tang doesn’t like his answer and says that he’s not even the studious type. Chen Xun says that there are times when you can’t just do whatever you want. Xiao Tang’s convinced that there’s something he’s not telling her. Chen Xun tells her that he just doesn’t want to work here anymore, and asks if she really thinks that she knows him that well. Xiao Tang yells back that she doesn’t have the time or effort to get to know him, so he can just do whatever the hell he wants. Well, this was one random fight. Fang Hui sees that Chen Xun has a teddy bear in his backpack, and takes it out to look at when he leaves his seat. She pushes the button on it and hears Xiao Tang’s message for him. She’s so shocked that she doesn’t even bother to listen to the whole message before stuffing it back into Chen Xun’s backpack. Fang Hui has got that look of betrayal because she knows that all her suspicions about Chen Xun and Xiao Tang were justified. The next day, Fang Hui asks Chen Xun to go out with her, but he keeps saying that he’s busy. She asks him why he’s always so busy nowadays even though he already stopped working. Chen Xun tells her that all he’s doing is practicing for the competition. Fang Hui asks him if the competition is really that important and if it’s more important than her. Way to give the most stereotypical line ever, Fang Hui. Chen Xun argues that the whole purpose of him singing is for her to hear him. She says that the competition is organized by Xiao Tang’s club, and Chen Xun is like wtf does that have to do with anything? Fang Hui asks him why are they spending less time together now compared to when they were in high school. She wants to know if he thinks it’s uninteresting talking to her and if he feels that it’s pointless being with her. He asks her again what she means by all that, and she says that she’s feeling that all of this is becoming quite pointless to her. Then she walks away from him…in the middle of an argument! Chen Xun sees Xiao Tang in the music practice room, and she immediately gets up and leaves without saying anything to him. He stays there to practice all day, and remembers how he first sang “Cong Cong Na Nian” to Fang Hui over the intercom in high school. But then he picks up the teddy bear to listen to Xiao Tang’s message. Who is he picking then?! Xiao Tang and Fang Hui both get word that there’s a fire in the music practice room, and they immediately rush over to find Chen Xun. While Xiao Tang is running there barefooted, her voiceover says that when you bid farewell to someone, it often happens when you least expect it. You can’t just easily talk about separation or say goodbye because bidding someone farewell is easy, but saying goodbye is difficult. If you love him, don’t ever say goodbye unless it’s a matter of life or death. Any other circumstance, you just can’t say it. Xiao Tang is the first to reach the music building and sees Chen Xun outside, a little rattled but unhurt. By the time that Fang Hui gets there, she sees Xiao Tang and Chen Xun standing together, looking longingly at each other. The only thing that Fang Hui can do is watch them from behind a tree before turning to leave with her heartbreak written all across her face. All those promises were lies. After their fight over Chen Xun working at the pub, he tries to make up with Fang Hui by asking her to watch him sing at the competition. She just coldly tells him that she’s busy and can’t go. Dammit Fang Hui! Song Ling finds out where Zhao Ye’s working, and gives Jia Mo the address for her to go find him there. Fang Hui receives an email from Qiao Ran asking how she’s doing. She writes back that all is well with her, but it’s a total lie because she had just heard that teddy bear message from Xiao Tang to Chen Xun and is crying while typing. All I gotta say is…#TeamQiaoRan.